CEO & Owner...Kay grew up in the business and has been taught how to do just about everything. In October 2003, she purchased the business from her father. In 2005, she moved the company from Washington, DC to Alexandria. Kay and Tyler Business Services' reputation for providing high quality products and excellent service have elite people and companies from the Washington DC area, around the country and around the world coming to Tyler for all their printing, mailing and promotional product needs. Kay loves just about every part of the business but her favorite is working with people both customers and co-workers. 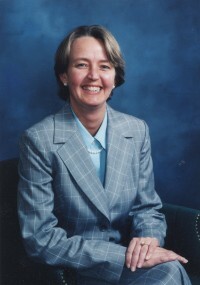 Kay currently serves as President of the Eisenhower Partnership (eisenhowerpartnership.org) and is the Past President of the Women's District of Columbia Golf Association (wdcga.org). Kay also loves animals especially Crandon, Kirby and Dexter! You can also catch Kay on the January 26, 2010 airing of the Daily Show with Jon Stewart (thedailyshow.com).